All of a sudden the end of the school year and Summer are nearly upon us, and lo and behold, it RAINS! Need an activity to occupy your kids’ imaginations? Print out a Summer Reading Challenge booklet for them (and explore our interactive list online!). 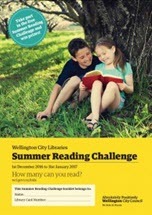 Every year the team at Wellington City Libraries put their heads together and come up with a list of 60+ amazing books. We then challenge kids aged 5 – 12 years to read as many books as possible from our Summer Reading Booklist between the 1st of December and the 31st of January. 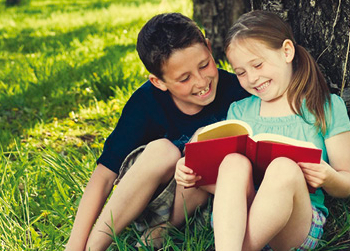 Once the kids have read a book, they go to the Kids’ Club page, write a review and win prizes! P.S. You might find yourself reading their Summer Reading Challenge books as well! 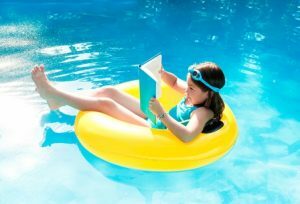 With the holiday season quickly approaching many readers will be seeking books to enjoy on long lazy days in the (hopefully) summer sun. Here in the fiction area of Central Library we have several display areas that we guarantee will provide some great escapist reading. We have a special Summer Reads display where we will display a range of older diverse genres that have proven very popular. We have our Librarian’s and Reader’s choice display that is so popular with fiction browsers. Daily returned material provides a constant change of content. There is the New Zealand Fiction display that highlights the amazing talent and varied breadth of theme New Zealand writers create. Not forgetting our popular Fiction Stack display, we have gems from our closed stack shelves. Many readers will have forgotten about, or been unaware of these older publications. Lastly of course are the New Fiction display shelves. As new material is arriving daily, the most recently published gems can be found by the alert browser. We hope you have a happy reading summer. It’s that easy. From 1st December – 31st January, kids can pick up a Summer Reading Challenge booklet from your local library (or print it here) and see how many they can read. If they write a Kids’ Club review for every book read from the list, they will be published on the Kids Blog. Writing more reviews earns prizes, which can be collected from the local library: the first prize is earned after writing 2 reviews, and then after every 5th review from then on (a librarian will contact your child when the prize is ready to be collected). But the winning doesn’t stop there… there is also the Challenge’s main prize draw, which will be drawn in early February. The prize will include lots of goodies like books, CDs, vouchers, chocolate, library bags, toys and games, posters, stickers, and much more! To find out more about the Summer Reading Club, and the activities at each library, see the Kids Blog. Writing more reviews earns prizes, which can be collected from the local library: the first prize is earned after writing 2 reviews, and then after every 5th review from then on. But the winning doesn’t stop there… there is also the Challenge’s main prize draw, which will be drawn in early February. The prize will include lots of goodies like books, CDs, vouchers, chocolate, library bags, toys and games, posters, stickers, and much more! 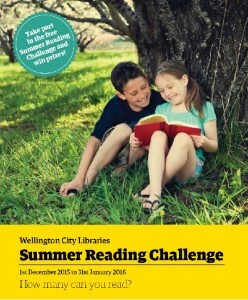 To find out more about the Summer Reading Club, and the activities at each library, see the Kids Blog. Light reads are really hard to recommend — they’re so subjective. “Light read” means different things to different people – heartwarming, gentle, funny, fun and more. Sometimes it’s even just a book you love so much it feels light to you — just the idea of it makes you feel happy! Here are a selection of light reads as recommended by our librarians. They include non-fiction gigglefests as well as light fiction and gentle reads, and cover sci-fi, murder mysteries, wry understated masterful English wit, stunt non-fiction and chicklit. Dress your family in corduroy and denim / David Sedaris. The Wilder life : my adventures in the lost world of Little house on the prairie / Wendy McClure. Very good, Jeeves / P.G. Wodehouse. Forever Rumpole : the best of the Rumpole stories / John Mortimer. The body in the library / Agatha Christie. The year of learning dangerously : adventures in homeschooling / Quinn Cummings. The uncommon reader / Alan Bennett. The internet is a playground : irreverent correspondences of an evil online genius / David Thorne.